Adjacent to the road at Laughtgannon (Leacht Geanainn, trans. 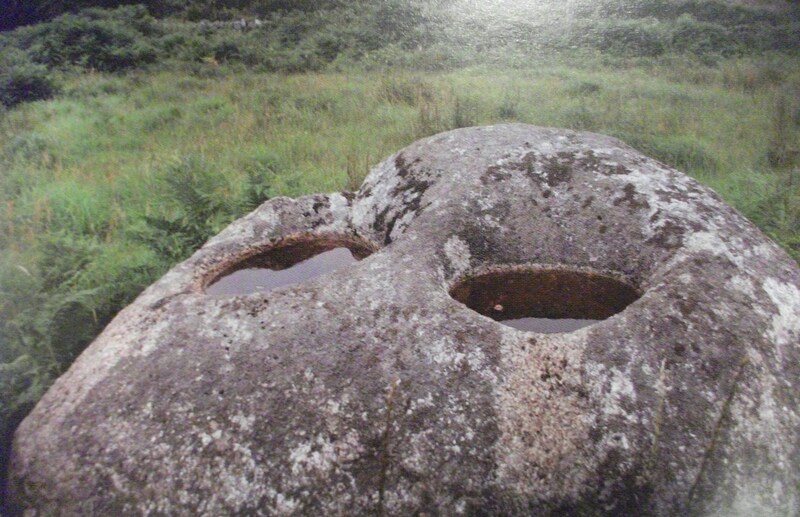 Burial Stone of Gannon) near the bridge over the Drimneen River (Abhainn Droimnín, trans. River of the small hill ridge) there are the remains of an old medieval church. The church, known as Killaroon (Cill an Rúin, trans. Church of the Secret), is dedicated to the virgin saint of the Carlow/Wicklow area: St. Croine. 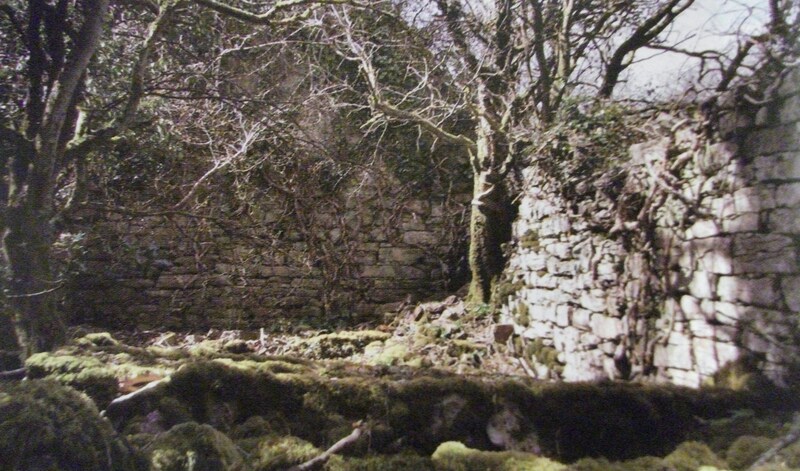 St. Croine a recluse known also as Croine Beag was the daughter of Sedna, a descendant of Niall of the Nine Hostages. Her feast-day is celebrated on January 27th. 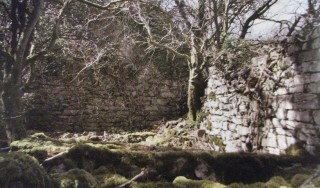 The church itself, although poorly preserved and very overgrown, still has much of its footprint intact; however, much of its walls do not stand to their full height. A small graveyard lies to the immediate west of the church and a remarkable double bullaun (term used for the depression in a stone. It is believed that the rainwater which collects in it has healing properties) is located in the field across the road. 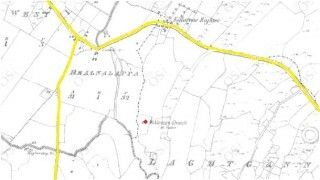 Memory of the church’s use during penal times survives in local folklore: “In those times there was no road between Rosscahill and the forge at Moyvoon. 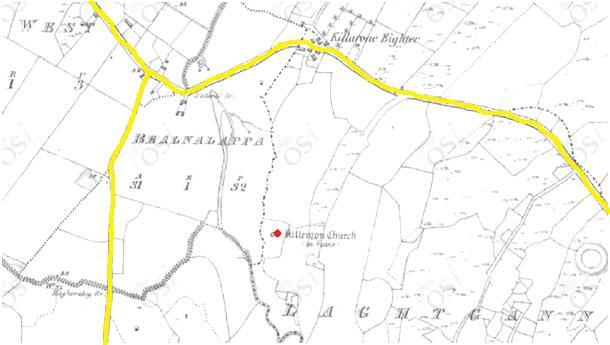 The Galway road ran to the right (the road running through Killola) so that left the land around Laughtgannon with its thick cover of hazel a safe place to celebrate the Holy Sacrifice of the Mass and up to this day you can see the stone that the chalice used to stand on and in the field close by you can see two wells in a rock where the priest blessed the holy water. And the little tower you see high in the land of Killola was built then as a watch tower; it is now called Speck.” (Transcription from Schools Collection XIX) by Kathleen Joyce, Oughterard, c. 1937 (Got from Mrs Callaghan). This page was added on 19/09/2012.